The brain is such a vital part of the human body. It is responsible for many key functions such as breathing and circulation of the blood. If it is so important, we should look after it and help it out where we can. In the media there is a lot of emphasis on other parts of the body and how to keep them healthy, but how much do we really know about caring for our brain? 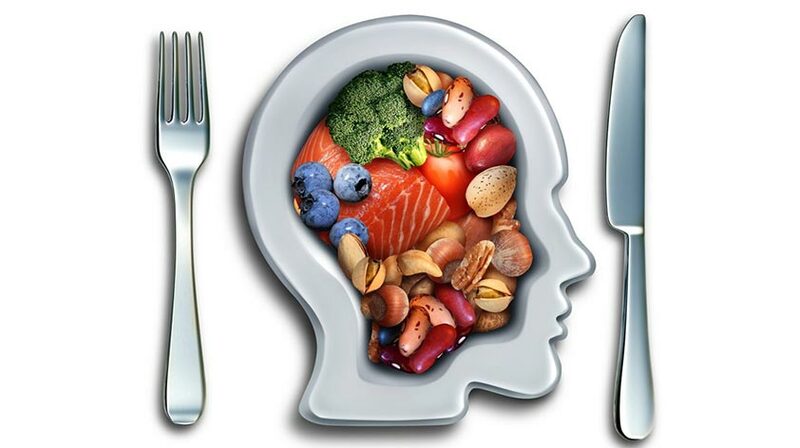 Well let’s start feeding it with these 5 Top Brain-Boosting Foods! Berries, along with apples and citrus fruits are rich in flavonoids, a group of plant pigments, which are thought to boost memory function. Research suggests that these compounds may reverse age-related decline in memory, by enhancing the function of existing neuronal structures — basic working units of the brain. Adding a handful of these fruits will enhance your memory! Brazil nuts are packed with selenium. Research indicates that selenium plays a significant role in the functioning of the brain, with findings relating participants who exhibit more severe depressive symptoms to having a low selenium state. Selenium is involved in the production of one of the body’s most potent antioxidants — Glutathione, which is linked with mood-boosting effects. Fatty fish includes salmon, mackerel, herring, sardines and tuna. These fish are high in a type of omega-3 fatty acid called Docosahexaenoic acid — DHA for short. DHA is crucial for the structure and function of the brain and plays a part in the signalling system within it. Eating these types of fish will strengthen your brain’s signalling capabilities and increase your concentration. Green tea’s caffeine content will be sure to keep you feeling alert. This refreshing beverage also contains the amino acid L-theanine which will ensure your reactions are fast. Research found that intake of L-theanine during tasks, increased alertness improved accuracy and reduced fatigue. If those are the benefits, then pour me a cuppa! Turmeric contains the active compound curcumin which boosts brain-derived neurotrophic factor, (BDNF) a type of growth hormone that helps brain cells grow. Our body produces around 700 neurons (in the hippocampus region of the brain) per day but with the help of turmeric you can speed up your brain’s ability to produce new cells. Top 5 Health Benefits of Kola Nuts! Top 5 Raw Vegan Sauce Recipes!